The Qutang Gorge is the shortest and most spectacular of China's Three Gorges. 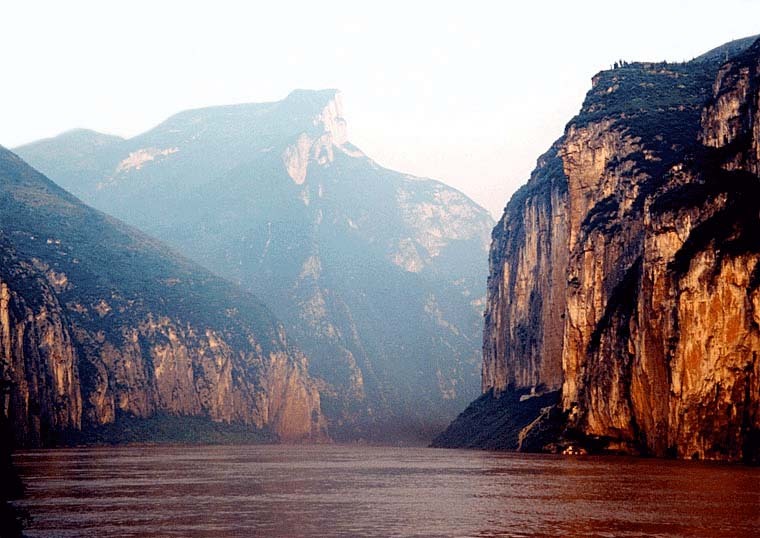 The point where the river passes between these mountains is called the Kuimen Gate and it is the entrance to the Qutang Gorge - the first of the three Yangtze gorges. The Qutang Gorge is only 8 kilometres (5 miles) long, but it is also the narrowest of the Three Gorges. The widest point measures only 150 metres (500 ft) wide. The mountains on either side reach as high as 1,200 metres (4,000 ft). This combination of narrow canyons among high mountains with several switchbacks in only 8 kilometres creates spectacular vistas, and the Qutang Gorge is often considered the most beautiful of all the Three Gorges.